Located in the heart of Bucks County, Pennsylvania, we are a Premier Cleaning Company providing Janitorial Services for businesses and to buildings located in the Bucks, Montgomery and Philadelphia area. At Sterling Maintenance Systems we specialize in providing your buildings and offices with the finest cleaning services available. We specialize in making work and office spaces sparkle. Our professional cleaning personnel are fully insured and bonded and we've been doing this for more than 30 years. Experience really does count! Don’t just take our word for it; view our "Testimonials" page and see what our customers have to say! There are good reasons why year after year we are contracted to care for many local businesses. 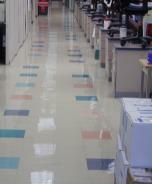 Find out why you should choose Sterling Maintenance Systems to clean and maintain all of your facilities. Silver is not the only Sterling that shines! Call 267-767-9932 for more information about our services or to schedule a FREE estimate at your convenience.